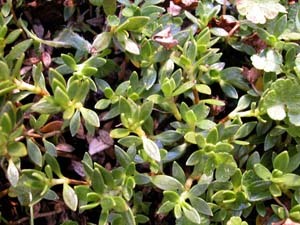 Coprosma moorei is a small perennial, prostrate and spreading plant that is most common in alpine areas, but also occurs on peat neat the west and south coasts. Leaves ovate or lanceolate, apex acute. Flowers solitary. 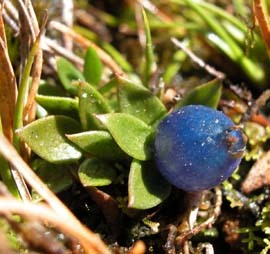 The fruit is a blue drupe (unlike C. pumila).